The world has always run on traditional fiat currencies, which have been backed and controlled by governments. The government can inflate or deflate the price of these currencies without any democratic involvement. This also meant a high degree of regulation and government scrutiny that led to manipulation, but then came Bitcoin. Bitcoin is a decentralized virtual currency that is not controlled by anyone, and that doesn’t require a third-party intervention. It was created by a figure known as Satoshi Nakamoto in 2008. His identity is still unknown, and he vanished from the online world a few years after introducing the world to the revolutionary technology of Bitcoin. Bitcoin’s value has increased over the years because of its popularity, and many people have made a lot of money from it. No central figure controls Bitcoin, but it’s regulated by a peer-to-peer network that provides it with a functional base without the need of an external figure. Bitcoin is a democratic currency because it can’t be influenced or manipulated by a few wealthy people for their gains and interests. Most people have heard about Bitcoin and cryptocurrencies, but there is a lot of mystery that surrounds this terminology. Therefore most people are hesitant about investing in this lucrative currency. Bitcoin has almost become a buzzword in the last few years, thanks to its growing popularity. But the important question is, how does Bitcoin function? Is it a sound investment opportunity? How can you buy Bitcoin? If you want the answer to these questions, then this is the book that you need. Bitcoin is changing the world, and it is entirely possible that in the next twenty years, it might become the currency that everyone in the world uses. Some governments, like that of Japan and Switzerland, are openly embracing it while others are strictly against its use. Bitcoin is growing every day, and those who are in the game are already making thousands of dollars from it. So, if you want to understand what the hype is all about it, you have found the right book. what are the benefits of Bitcoins over regular currencies? What is the Blockchain technology behind bitcoin? How do Bitcoin transactions take place? What is a Bitcoin Wallet/ How to get a Bitcoin wallet? 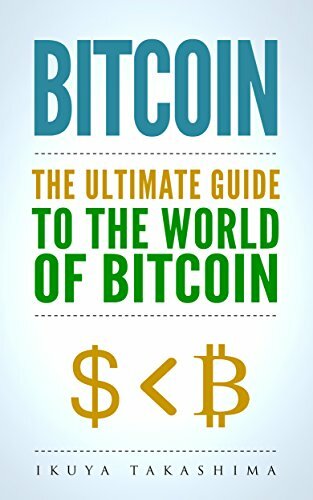 Join the Bitcoin Revolution and get your copy today!